SLOGANS ON POVERTY:- Poverty is the condition of being extremely poor which makes people unable to get basic necessities of life, especially food, shelter, clothing, and education. It affects people’s physical, mental, social and moral abilities to do something good in their life. It is a big social issue affects people at individual, social and national level. Poverty is must to be removed from the society which is possible only through education and proper social awareness. 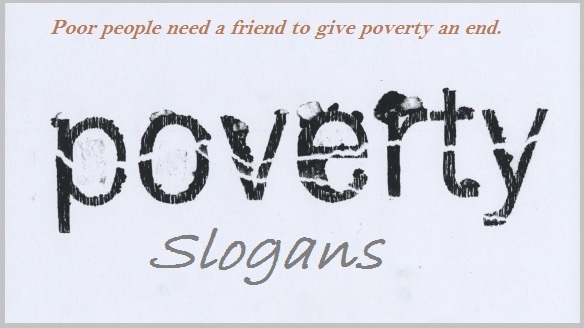 Such poverty slogans can be used during the event or campaign celebrations in the community, society, schools, colleges or other places. Poverty is a condition, not destiny! It can be corrected. Take poverty as a condition, not as a destiny! Poverty is not a curse, it is just a condition. Poverty is a condition and it can be overcome through education. Education is the only medicine for poverty. Poverty restricts the development of a country. Poverty cannot win over education; it can be easily defeated by proper education. Poverty can be eliminated through education. Promote education to eliminate poverty from all over the nation. Poverty is not a curse; it is just a condition and can be removed completely! Poverty is dangerous to the success of any nation. 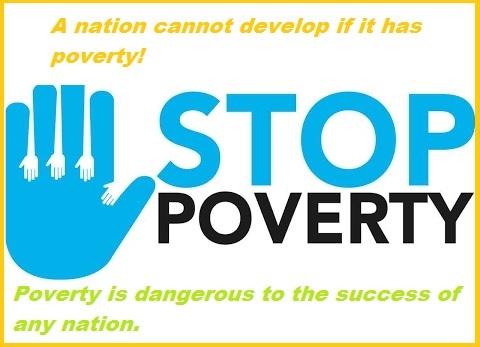 A nation cannot develop if it has poverty! Poverty restrains the development in the country. Education is an effective solution for poverty. Poverty is a big reason to many social issues in the country. Poor people need a friend to give poverty an end. Poverty is the mother of greediness and corruption. If poverty can be generated, it can be finished too. Poverty makes a nation hollow from inside. Education is the only weapon to defeat poverty. Poverty makes people weak in all dimensions. Education is the only weapon to win over poverty. Poverty demotes whereas education promotes development in the country. Let’s unite to fight poverty and make future bright. Poverty is not a curse but it has power to down the morals of a person. Education is the basic need to remove poverty. Poverty makes people desire less and thus effortless. Education is the tool to get rid of poverty. Poverty makes the nation helpless like a man without hands and legs. 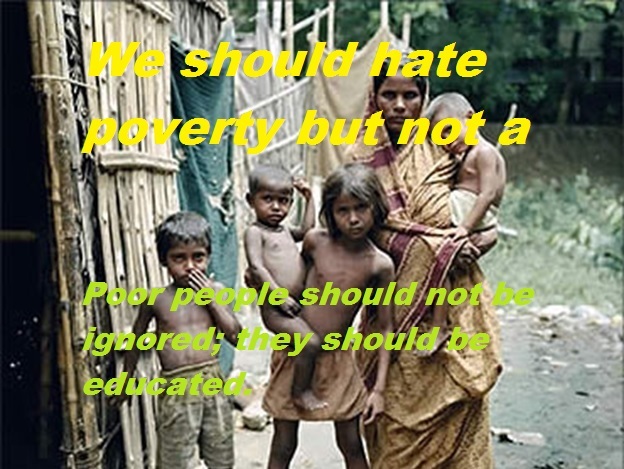 Poor people should not be ignored; they should be educated. Poverty is just a bad condition and can be changed to good condition. Through education, poverty can be changed to a property. Only education can change poverty into the property. Poverty leaves people helpless in the world; like a bird without its wings in the sky. If poverty can destroy the life of a man, a man too can destroy its existence. Poverty can destroy a nation without using any weapon. We should keep poverty away but not a poor! Poverty is enough to hinder the growth of a nation. We should hate poverty but not a poor! Poverty makes a man weak but it cannot win to the education. We should always defeat poverty but not a poor! Poverty makes a man helpless but it cannot withstand in front of education. We should help each and every poor to make poverty helpless. Poverty can be defeated only through education. As being a citizen of the nation, we can do our best to promote education among poor people. Don’t ignore people, just because they are poor; help them. Let’s pledge together to make our nation a poverty-free nation. How strange, no one wants to cross range to fight poverty. Poverty is not a curse but it has power to down the development in a nation. It’s time to unite as poverty is not our right. Poverty is the mother of crimes and social issues in the country. Poor people are calling to save them from falling. Poverty gives rise to many social issues in a nation. We need to hit so that poverty can quit. Poverty hinders the mental and physical growth of a person, just remove it away!